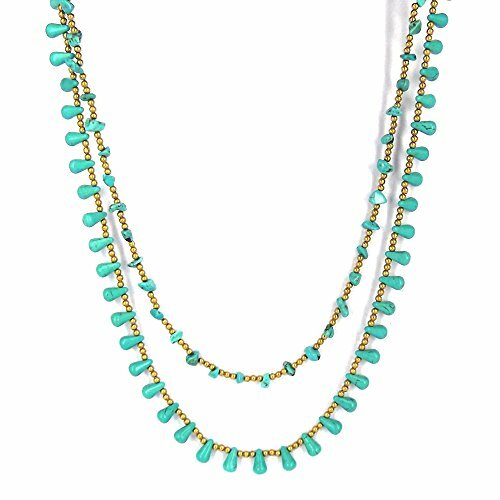 Cascading simulated turquoise stones and brass beads create a stunning statement piece. Add texture to your style with this handmade necklace from Thailand. PLEASE NOTE: The handcrafted nature of this product will produce minor differences in design, sizing and weight. Variations will occur from piece to piece, measurements may vary slightly.